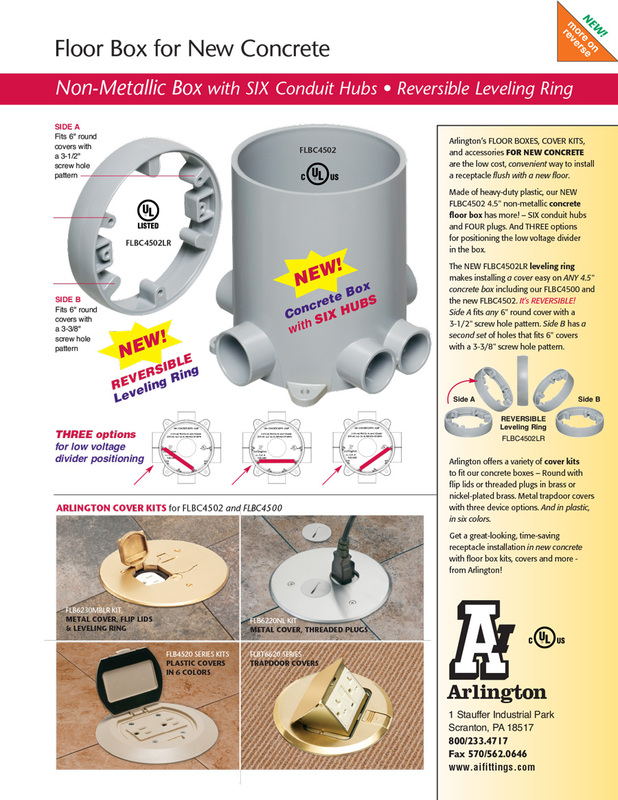 Arlington's Metal Cover Kits for concrete floor boxes are available in metal brass or nickel-plated brass. Covers fit our FLBC4500 and FLBC4502 concrete floor boxes. Kits include a metal cover with flip lids, gaskets, receptacle, and leveling ring.